After reading this amazing guide from cover to cover, I can't help but wonder if this is the best kept secret of all the successful mums I know. In The Contented Little Baby, Gina Ford explains the feeding and sleeping routines she's refined to make it possible to have a baby who sleeps through the night as young as two months old. While Gina Ford's suggested routines and techniques do appear incredibly prescriptive, they also make complete sense. In fact, I'm surprised her practises are not at all widely adopted in modern maternity care. For example, Ford shatters the concept that young babies should be fed as often as they demand by suggesting her routines are followed from the very day mother and child leave the hospital. Rather than letting babies sleep as long as they like, she explains why it is better to wake them for feeds to establish a routine early on (including useful advice about doing this gently to ensure baby does not get upset). Little gems of advice are thrown in amidst the often lengthy explanations, such as stimulating young babies with black and white pictures of faces, and using blackout blinds in the nursery to help distinguish between sleeping and waking hours. 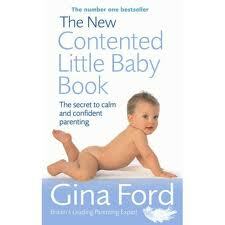 Being pregnant with my first child (and running a home-based business), I'm sincerely assured that Gina Ford's techniques will ensure our new baby will be a contented one, and that as a result our family life will be far easier than without it.